Administrative detainees have announced in an official statement that they will begin a boycott campaign against military courts starting form Thursday 15 February 2018. 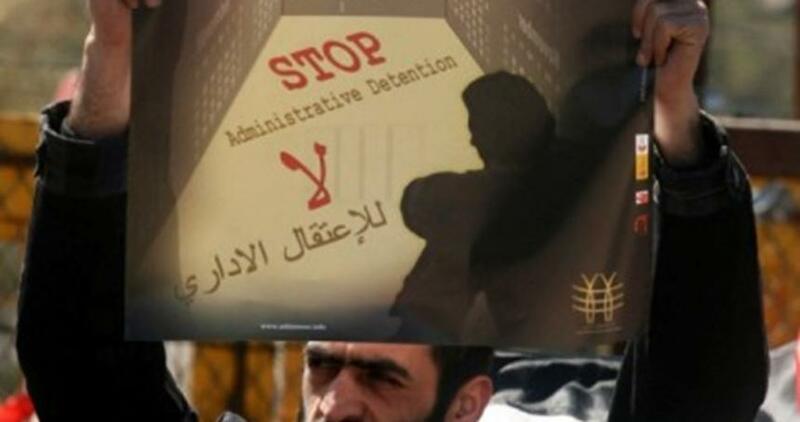 Addameer reasserts its unwavering support for administrative detainees and their legitimate demands. We believe that Israeli’s systematic and wide scale implementation of the policy of administrative detention represents a violation of the Fourth Geneva Convention. In addition to being in contravention of article 78, administrative detention is also in violation of article 147 of the same convention, which means that it also constitutes a war crime and a crime against humanity according to articles 8 and 9 of the Rome Statues. Addameer calls on all Palestinian human rights organizations to adopt one clear plan with the aim of supporting administrative detainees in their coming steps to ensure their success. This requires also national and international solidarity campaigns in order to further support administrative detainees and their cause. We also call on the engagement and support of international accountability measures against the Israeli occupation’s violations of international humanitarian law. Finally, Addameer calls on the release of all administrative detainees and for the occupation to recognize their rights, as specified in the relevant international legal instruments. We also ask all human rights organizations around the world to support and show solidarity with our administrative detainees. Currently, there are over 450 administrative detainee in Israeli jails including 7 PLC members.